The California Carpet Stewardship Program is off to a strong start this year, according to Q1 2017 results. 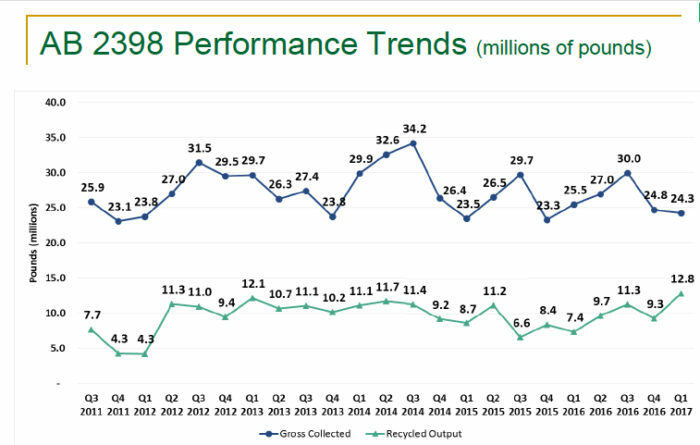 Recycled Output has reached its highest quarterly level since the Program began in July 2011. Recycled output hit 12.8 million pounds – an increase of 73% over the 7.4 million pounds in recycled output in Q1 2016. The increase was driven in part by continued growth in the use of carpet backing material. 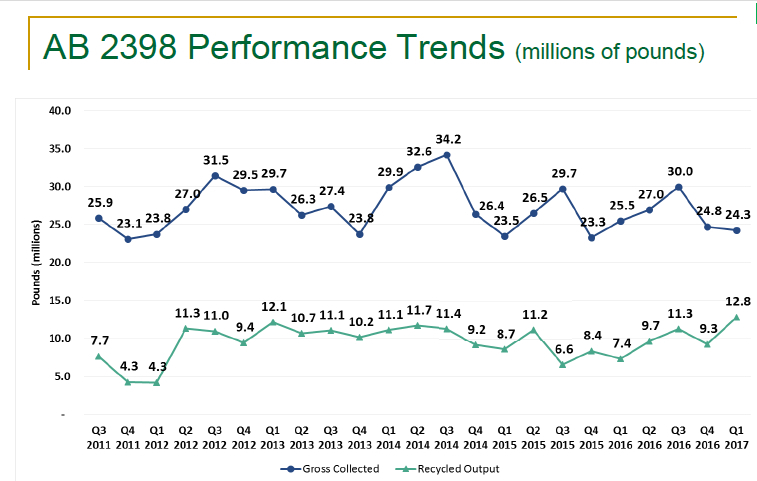 Coupled with a decrease in sales, the recycled output rate hit 16.3% in Q1, thus reaching the target set for 2016. The CARE California program is supported by assessment monies collected when carpet is sold in the state. The vast majority (~70%) of these funds goes to subsidies paid to Collector/Sorters, Processors and Manufacturers to support the carpet recycling ecosystem. In Q1 2017, $2.8 million was paid out in subsidies, an increase of 25% over Q1 2016. Besides subsidies, CARE program expenses include support for the drop-off site program, grants, market development, education/outreach and technical assistance.